I'm not buying anything. In WoT I hate the state the game is currently in so I refuse to buy anything. In WoWS I will not buy anything until they make the premium currency gold and the gold is shared across all 3 games as they advertised it would be! I can easily tell what "tecnical issues" those are. We don't want players who have a lot of gold in WoT spending it on WoWS, we want them to spend even more money. That's the "tecnical issue". Reguardless of the fact that they promissed exactly the contrary. So we are supposed to have an unified account and well, to a degree it is as my account is the same for the 3 WG games. However there is a point to be made about WG saying that they would have one currency only across all 3 games and whatever gold we had we'd have it in all 3 games. More yet, we were supposed to also share premium account across all 3 games. Now I cannot say anything for the premium as I don't have premium time going on but certainly the economy of paid currency isn't shared because this uses doublouns and not gold. So the gold that I have in WoT is not here. This is not simply a case of being beta because world of airplanes was gold right from the start of beta anyway. Cruisers are AA primary as they go up in tiers. If someone doesn't likes doing that job then they probably should play something else. If I was a cruiser I'd be escorting our CV until we had a solid advantage or the enemy CVs are dead. Is it less stimulating gameplay? Possibly but it's what they are supposed to do. They defend early game and attack late game. I don't have a tier 10 but after having watched a few tier 10 games I can say I mostly disagree with you OP. Cruisers. You call them useless, I say you aren't playing them properly. A cruiser innitial role in battle is being an AA gun. You move with your team's BB or CV and you provide them with safety from aircraft. Especially the CV! Remember that you don't need to actually shoot down the enemy's planes, if you do all the better but odds are the enemy will see your cruiser and think, nope, that's looks like the exact place I don't want to be... Just denying the enemy team the kills is extremely important to win. A cruiser set out on it's own once the team has gained the advantage and their rapid firing guns can be put to good use with much less fear of destroyers or battleships. Battleships. Yes the Yamato has big guns as I'm sure you knew well before you had grinded up all the way up to tier 10. What you got to understand is that despite the Yamato's guns and fairly impressive anti air capabillities, it still cannot deal with a single CV worth of planes. I've seen time and time again Yamatos not being protected, taking 2 full spreads of torpedos from the airplanes and sink doing absolutly nothing right at the beggining of the battle. Why? Because it's a huge ship, because it's slow and because it turns very slowly! American battleships are faster and turn better which is a trade off for smaller guns which still deal ridiculous amount of damage with citadel pens... So no, the Yamato is not the obvious choice. You chose what you prefer, bigger guns or more speed and maneuverabillity. I feel this is eprfectly balanced. Destroyers. Yes, my waifu is the best, period (if you didn't got it, look at my avatar)! Now seriously, yes it has a very good torpedo capabillity and of course low detectabillity. Because that's what destroyers are supposed to do! They spot for the team, they harass the enemy lines and where possible sink enemy ships! In the case of japanese, they are great at this, the american are good gunboats with very decent torpedo capacity. You say you get one hit and get the guns destroyed, all of them, I dunno what game you play but I see american destroyers killing japanese destroyers very quickly, especially if they wolf pack them. They pop smoke? Well one of two things happens. They stay concealed within the smoke in which case, fire your torpedos into the smoke, you'r almost guaranteed to hit, I do this all the time and at least half the times I get a hit. They continue to move on and will be spoted or turn back and just use the smoke screen to flee (what I usually do) in which case you've successfully chased them off, denied the enemy their scouting and lowered their torpedo solutions. Carriers. I was going to say skill planes was not fair and that carriers require skill. However as of right now that isn't as true as it used to be. You still need to know how to drop your torps right and you still need to have the brain engaged to know that bombers generaly don't do much except against destroyers and that's where you should use them all the time. However the distance at which planes can drop torpedos right now is far too close, a minimaly skilled CV players can make it impossible for any destroyer to dodge the torpedos and so in a way, it kinda is skill planes now. I am sure however that given enough time this will change but until then we have to put up with them just having a way of dealing guaranteed damage so long as the person behind the keyboard isn't brain dead. So what do I mean with this all? If you play correctly and to your strengths, you shouldn't have much problems. Yes, this still means you won't be able to win every single battle and yes, this still means you are going to have win streaks and loss streaks, however we as humans beings that we are focus much more on the negative so we notice those much more easily. I've already joined a clan, thank you to all the people who answered. I'm not saying they should be invunerable, I'm saying they should have time to dodge it. Having a class of ships that does guaranteed damage because it just cannot miss at all is not good balance no matter how you look at it. Previously DDs could avoid easily, only if they didn't paid attention they would get hit or if they were caught in a position with nowhere to run. Cruisers could dodge it but obviously not as easy. battleships was almost impossible to dodge them, you needed to start turning as soon as you saw the TBs and that would only work if the CV player just send them to attack on automatic rather than wait for it to try to turn and then send the attack from an angle it couldn't dodge. That was very much balanced. ilhilh - Perhaps because I stoped playing for a long while so Irmember what it was and now see a massive difference. Reyte, I can only speak from what I've seen. To you it might not look like it's that close, but what I'm saying is that it's being droped so close that it is 100% impossible to dodge them once they have been dropped where as before I had the time to run circles around them. That is the difference. Reyte, they weren't. At least shortly after the torpedoes got the minimum arming distance they would give a very long time to dodge them. This has changed, when exactly I dunno, stopped playing for a long while and return about last week. It isn't the torpedo speed, I'm sure because I see how close they are dropped now, the airplanes are nearly on top of me when they drop it and before they were much further away when they had to drop the torpedoes. This manifests in a longer reaction time. However I'm sure there are a lot of people who cry about TB enough that they will get nerfed, it is WG style after all, cry enough about it and they nerf, much like artillery and TDs in WoT. In my opinion, it could use a rebalance in the dropping distance, at least back to what it was before. Destroyers have an easy time, cruisers will not be easy but can be hit if a little bit distracted and battleships will only dodge if they notice the attack before the torpedoes are in the water. I don't think such levels of guaranteed high damage are beneficial for the game... Similarly I think bombers should be buffed, their damage is ridiculous and the only posible damage that comes from it is from fire damage which will only happen if the repair is on cooldown. This is also unbalanced and unfair. The problem is that they do well enough against destroyers and not well enough against anything else so the trick here would probably be apply more damage the bigger the target is or perhaps just increase it's hit chances with bombs the bigger the target is. Ilhilh - Sorry but that is just not true, I remember shortly after it came to open beta and the TB were given the minimum arming distance (which they didn't had during the closed beta) that I could dodge them easily on a destroyer. A torpedo run droped on my side I could turn towards the torpedoes after I saw them on the water, align between them and would still have more than enough time left to make any final adjustments in course if so needed. This without even needing to reduce my speed at all. The minimum arming time was pretty long, as I said, way upwards of 6 seconds. I remember winning a game by capping because I didn't know where the enemy CV was and I didn't had enough time left to find him and sink and as we were the only 2 players left I opted by capping and he was trying to get me with TBs and obviously failing since I'd need to be far too distracted for them actually hit. Heck I could dodge TBs with a battleship back then but that did require me to start the turn before the torpedoes were droped, however in a destroyer, no, I literaly had all the time in world... Now they are dropped practicly point blank and still deal damage... So yes, it was changed. I don't know when it was changed, I didn't say it was this patch, but somewhere from the time they were given an arming distance to now there was indeed a major change in the minimum torpedo arming time for TBs. The arming distance of torpedos used to be much larger than that, it used to be equal to the distance you drop them as if doing it automaticly rather than manualy so realisticly there would be upwards of 6 to dodge them. I do play IJN destroyers yes, currently on Mutsuki. On the subject of replays, I'm not going to go mess with a config file. I can confortably wait for WG to get off it's lazy [edited]and add the option. I didn't missed the drop, I was going after 2 CVs and they were on me with all they had so I was pretty much on point, the torpedoes were just dropped too close for there to be any possibillity at all of dodging... but I guess they severely buffed the TB for them to be undodgable if the player knows how to drop them. Seems a little bit unballanced if a fast maneuverable ship has no chance in hell to dodge them, but there isn't much of a point to make a fuss about it. There will be other people making enough noise about it that they'll nerf it again anyway. Meanwhile I just have to deal with it... Really just wanted to know if it was a bug or a change. Thanks for the answers. Reyte, in case you haven't noticed, I didn't came to the foruns to rage about it. I came here to know if this is working as intended or if this might be a bug players may be exploiting so that I can report the bug. I don't have a replay as WoWS doesn't has a replay system yet. Well it's not a case of the torpedo speed, I am literally being dropped point blank By point blank I mean, they hit me in 3 seconds or less, that's how close they are being dropped and they deal damage... It just seems a little bit too overpowered. The idea is that torpedos deal a lot of damage, but they are dodgeable. And I say this while I play a destroyer, in fact that's practicly all I play and I have literaly no chance whatsoever to dodge aircraft torpedos. I remember a few months back I could dodge them almost every time because the arming distance allowed me more than enough time to maneuver. Now it doesn't gives you reaction time because they are dropped so close, I start to turn, maybe even try to slow down but it's just impossible with how close they are being droped. Is it me or they removed the minimum arming distance on torpedo aircraft? 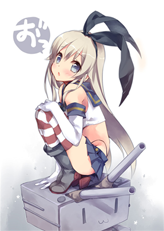 I'm being droped torpedoes, literaly point blank to the point where it is impossible to dodge them in a destroyer. Is this a bug or did they removed the balancing feature they had implemented a while ago? The only thing that leaves me sad about this event is that I have no way to get them. Idealy the missions are good to do in a cruiser which has rapid fire and decent accurary on it's main guns and I'm mainly a destroyer player. Granted I'm kinda low tiers still, my only tier 5 is a destroyer but I just have no hopes of getting them as is.